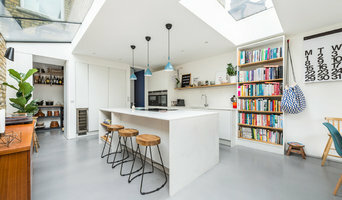 Uncommon Projects creates bespoke plywood furniture, specialising in contemporary kitchen designs and unique shelving & storage spaces . All of our products are designed and made in London as we believe maintaining the close relationship between manufacture and the creative process is paramount to ensuring quality and consistency. Uncommon Projects is not a traditional joinery company. The majority of our work is produced in high quality hardwood veneered plywood. Our style is informed by an honest approach to the materials, functionality and visual balance. This gives our products a unique and distinct identity. With every new project we try to think outside the box. Approaching every new brief from a fresh perspective; we innovate where necessary and work with the client to find the solution that is right for them. Book an appointment to visit our showroom! Classic Kitchens is a family run business and were established in 1989. They understand that every project is different, therefore every kitchen is designed to fit specific kitchen spaces and the specifications of the client. From the concept of the kitchen to the completion, Classic Kitchens will work closely with you to make sure you get your dream kitchen. Not only will classic Kitchens design and fit your kitchen but will make sure you get a complete service, even after your kitchen has been fitted for your peace of mind. 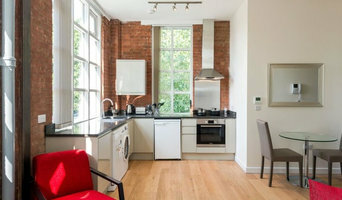 All of their kitchens are tailor made and provide unique designs and the latest styles. 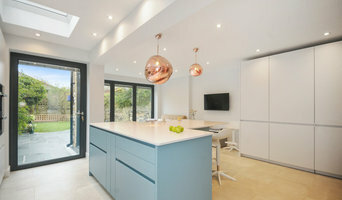 Culina is an independent company committed to offering exceptional kitchen design, supply and installation service to clients in London, Surrey and surrounding counties. We pride ourselves on our professional and friendly all round service. Our consultants are experts in leading you through the design process, have exceptional creative skills and a wealth of experience. We are passionate about our kitchens, and are able to offer British, German and bespoke cabinetry. Pop into our Showroom today or book an appointment with one of our design team. Providing beautiful kitchen and bathroom designs, with the addition of interior design and build services, Hawk Kitchens & Bathrooms specialise in creating exceptional spaces in the homes around Hertfordshire. We believe in offering products and designs to suit all budgets and tastes without compromising on quality and ultimately creating luxurious homes that will be treasured for years to come. Our two showrooms based in Gaddesden Row and St Albans, Hertfordshire offer clients a more personal service and the opportunity to see the vast selection of products in situ before purchasing. Customers can visit the showroom at a time that suits them and be wowed by the designer kitchen and bathrooms on show. The main focus at Hawk is providing outstanding customer service, that combined with the stunning Bathrooms and Kitchens Hawk KB supply and fit this is perhaps why 70% of our orders are from returning customers or customer recommendations. Braverman Kitchens is an independent fitted kitchen retailer with a family tradition in the kitchen industry dating back over 60 years. Braverman Kitchens is individually owned and operated by Charles Braverman. Our stunning showrooms have been designed to showcase our full range of kitchen products. You will find a total of eight kitchen displays incorporating appliances from our chosen suppliers, a huge range of worktop samples and a fully working kitchen with “Miele” appliances. We will offer you a freshly ground coffee or drink of your choice while you relax in our plush presentation area as we show you a 3-D virtual tour of your new kitchen on our plasma screen. All in all, we ensure that your visit to our showroom will be one to remember. We welcome children and always have a supply of toys and goodies to keep them entertained. MKB Designs is a family run business established more than 30 years ago. We design, supply and install high quality kitchens, bathrooms, bedrooms and interiors. Whole house projects are our area of expertise. Our pride lays in great communication, guidance and transparency, leading us to beautiful finished results that our clients love to live in. We’re friendly, creative and knowledgeable; we strive to provide the best customer experience possible to help you make the very best of your space. Because of our breadth of skill and experience, we are able to take on projects ranging from whole house renovations to small refurbishments. Our talented installers are known for attention to detail and we provide one point of contact for the whole project. We're also able to supply products for install by others along with the support to do so. In everything we do, we’re inspired to innovate; to design quality solutions that are exciting and creative. We endeavour to communicate effectively and build meaningful relationships. Already established as London’s leading independent kitchen studio, neillerner now also offers built in bedroom wardrobes and furniture, lounge and dining room design, as well as their popular kitchen portfolio. 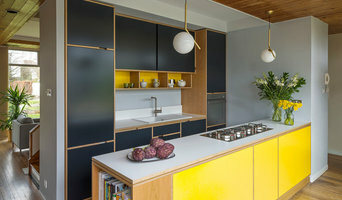 Neil Lerner & his team have been designing stunning contemporary kitchens for almost 30 years and have now brought their expertise into other areas of the home. Neil has a natural instinct for trends and a keen interest in the development and use of new materials, which is what keeps him at the forefront of kitchen design. The experienced team of designers at neillerner all relish the challenge of turning a dream into reality with exquisite kitchen, bedroom, lounge & dining room displays to see in the newly re-designed showroom situated on London's Finchley Road. The studio is open 5 days a week and Saturdays by appointment. Free parking for up to an hour is available outside between 10am and 4pm. Call us on 020 7433 0705 or just pop in for a coffee and a chat about your upcoming projects. Our coffee machine is always ready and we love to talk about design! The new website is at www.neillerner.com so do take a look. Mark Taylor Design is a British design and manufacturing business providing top quality, bespoke furniture, cabinetry, specialist joinery and Interior Design. Our passion is to make spaces work – to create extraordinary spaces which are as personally resonant and relevant to their users as possible. We're always developing new ideas to enable you to make the most of your home. Our new MeThD range encompasses 3 custom kitchens, with an innovative movable island. MeThD is designed to offer the quality, beauty and aftercare of bespoke with the affordability, speed of production and ease of installation of a custom range. So, whether you're looking for a traditional shaker kitchen, a sleek handleless design or a contemporary finish, this range is sure to inspire you. The central tenets of all Mark Taylor Design’s work are passionate craftsmanship founded on years of specialist experience, and truly bespoke personal service. We work to the belief that (almost) anything is possible for our clients. Call us today to discuss your projects! At Richmond Kitchens, we design, supply and fit quality German and British kitchens. From modern handle-less to more traditional shaker style, we combine innovative designs and quality materials to create a kitchen that is as unique as you. We have successfully installed many modern and classic kitchens in and around London. Come and visit us in our Richmond showroom, we have full size kitchen displays as well as all sample materials such as worktop, glass splashbacks and doors. Dual Designs makes beautiful bespoke kitchens and furniture, as well as our Specialist Range, designing and creating the perfect ambiance in your home. Tailored to your individual requirements, from a chic minimalist look to a social family living area. We can produce fitted or free-standing furniture for every room in the house. Each project is unique, carefully tailored to your individual requirements. We can project manage the complete job or work with existing drawings and companies. We can provide all appliances, worktops and services. We have had a great deal of experience in furniture since 1988, working with some fascinating people and companies. This has led us to where we are today, creating a company that celebrates quality furniture and craftsmanship. Our experience has developed us into making sure we give our clients the very best furniture, service and value possible. Celebrate and enjoy your own home every time you walk through the door.